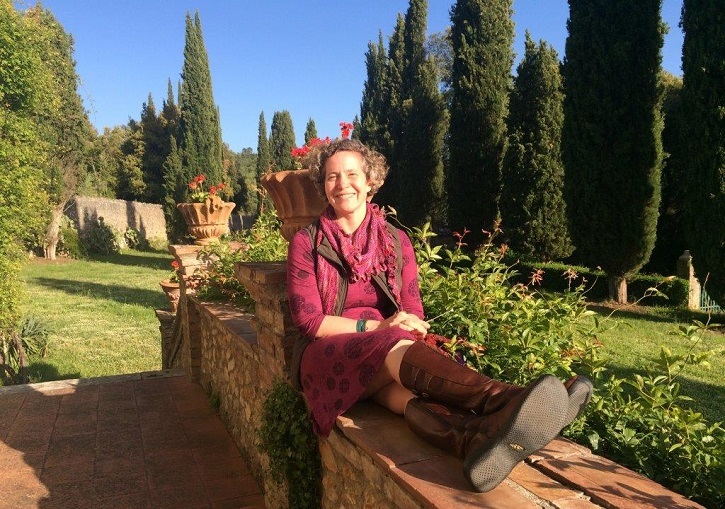 Posted on April 12, 2018 by Kelly M.
Two years I ago in May, I spent a delicious week in Italy with a group of Drumlin Farm travelers, reveling in the sights, (bird) sounds, and tastes of Tuscany. 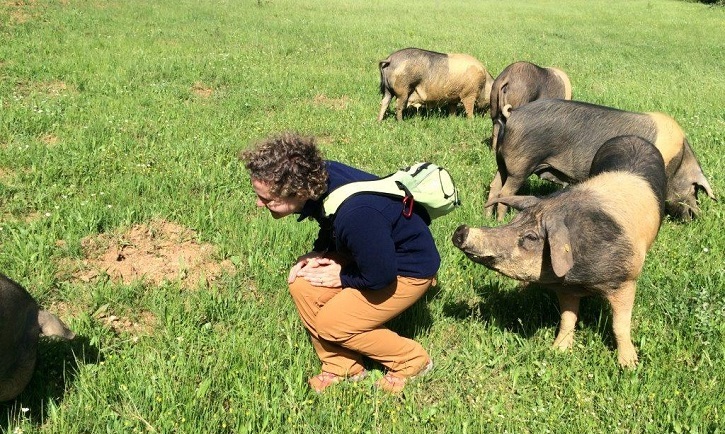 The time was made all the more special by being hosted by a wonderful Drumlin Farm partner, Tenuta di Spannocchia, a sustainable farm focused on education and outdoor experiences which shares much in common with our Drumlin Farm philosophy here in Massachusetts. Spannocchia has spent the past two decades working to preserve respect for nature and traditional farming practices in the Tuscan region. Nestled in the center of a 1,100-acre nature preserve, the property boats a medieval castello and villa and nine recently renovated farmhouses (previously run by tenant farmers) dotting the countryside. The property was in disrepair in the early 1990’s until the Cinelli family sought to restore the buildings and make it an active working farm again. Spannocchia preserves an ancient form of life in Tuscany that is based on community, respect for tradition and a responsible use of resources. Through our shared values of conservation, stewardship and dedication to educating future generations, Mass Audubon forged a partnership with Spannocchia that included hosting our week on the property, with tours to explore and experience its farming and ecological practices. Learning at Spannocchia is part of the vacation experience. 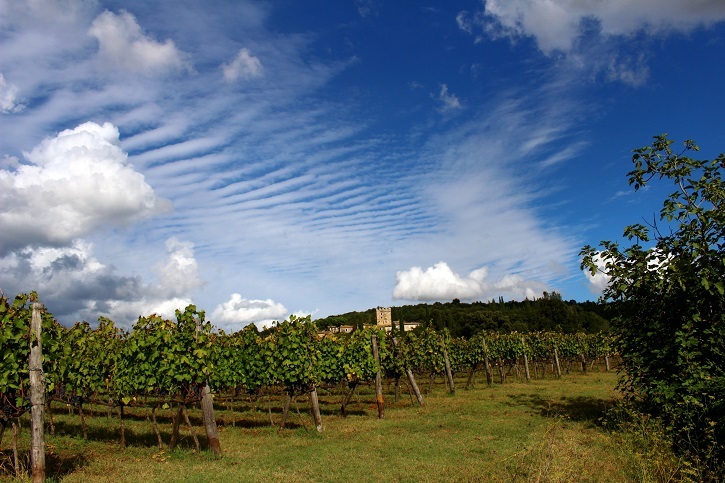 Visitors are invited to participate in a number of tours to learn about new gardening practices, beekeeping, and their organic wine and olive oil production. Our group was delighted to find that many of the same sustainable practices that we rely on at Drumlin Farm are rooted in the ways that Italian farmers had been working the Tuscan farmland for centuries. 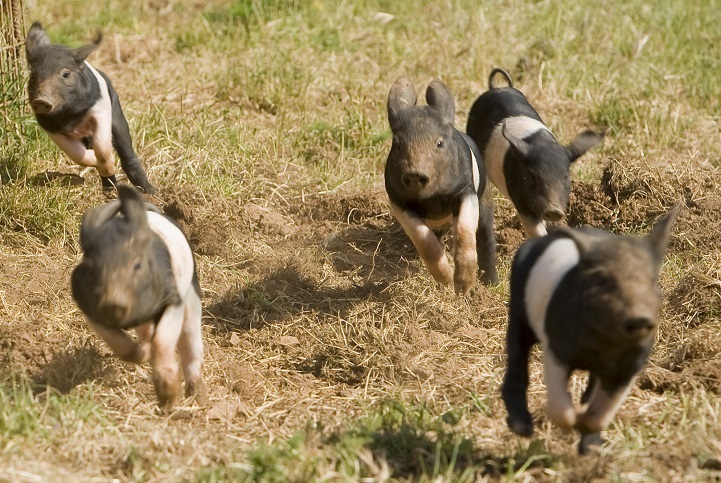 Another thing Drumlin Farm and Tenuta Di Spannocchia have in common – pigs! This year also marks the 25th anniversary of their internship program. Young people from around the world have come to Spannocchia to experience Italy’s farm culture and be exposed to sustainable agriculture. 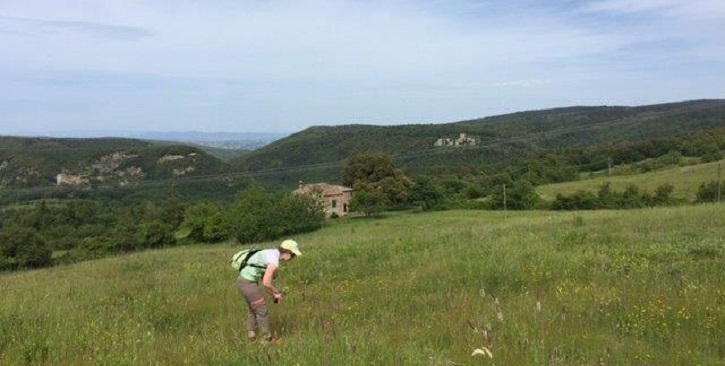 Interns have become ambassadors of conservation and continue to employ the practices they learned at Spannocchia in their communities, professions and daily lives. 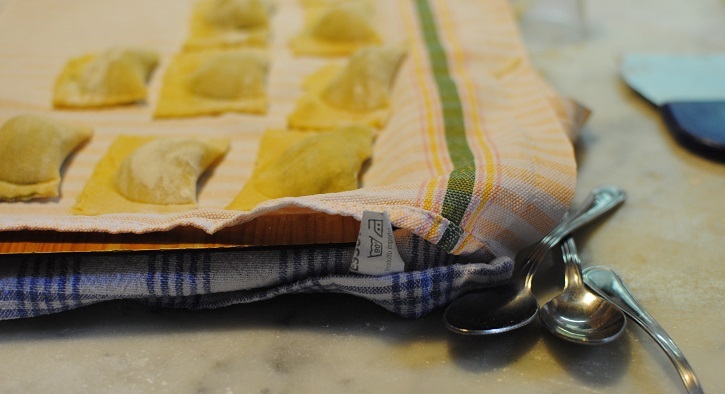 It wouldn’t be a proper trip to Italy without homemade pasta! As at Drumlin Farm, some of my fondest memories of Spannocchia revolve around community – staying in the classic farmhouse bed & breakfast rooms, participating in their excellent cooking and farming programs, enjoying family style meals with ingredients fresh from the garden, and exploring the streets of nearby Siena. 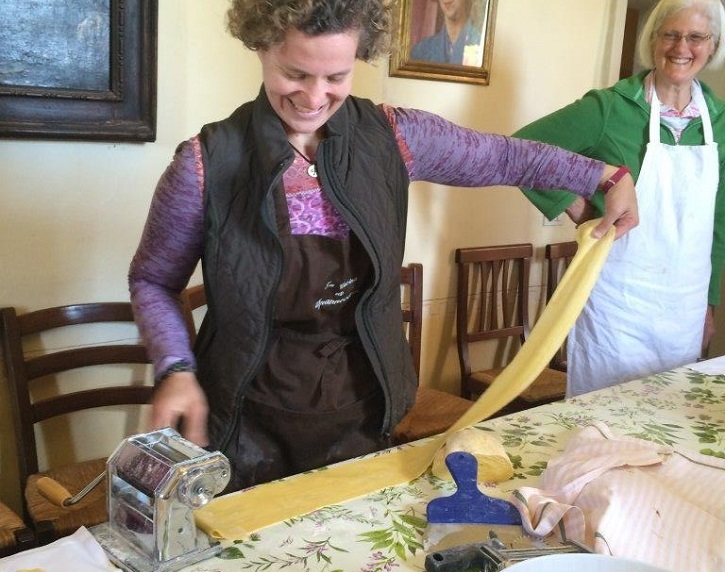 Even if you missed our tour group, you can spend a week soaking in farm life in Italy through their rental program. Look for me enjoying a drink on the terrace at sunset, since I know I will be back there soon! This entry was posted in Farming, News and tagged italy, partner spotlight, sustainable farming, travel on April 12, 2018 by Kelly M..